In my IDM Masters thesis, I set out to design and fabricate a truly personalized, data driven power object through the use of genetic data in collaboration with additive manufacturing. Our relationship with designed objects is vastly complex and can be examined in a number of ways. They play an integral role in the formation and reinforcement of our deepest held understanding of the world, our belief systems. This can be seen most clearly in religious objects. Any investigation of this topic is destined to splinter into the myriad factors that contribute to the construction of belief such as environment, ritual, or culture. In this project, I am primarily interested in the conditions necessary to allow us to imbue objects with power, be it religious or secular. How can we move an object from the world of the profane to the world of the sacred? 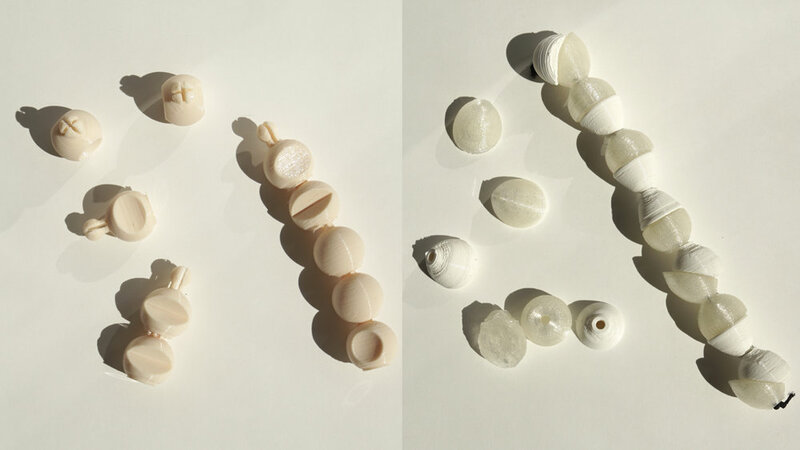 In this thesis, I set out to design and fabricate a truly personalized, data driven power object through the use of genetic data in collaboration with additive manufacturing. I decided to approach the question from a position both ideologically polar to religion and powerfully personal – the human genome. The human genome potentially holds the answer to questions that were formerly only answered by faith. This, in combination with its perception in popular culture as something comparable to the soul or part of one’s self that both holds an essential part of an individual and persists beyond his or her life, make genomic data ideal for this project. 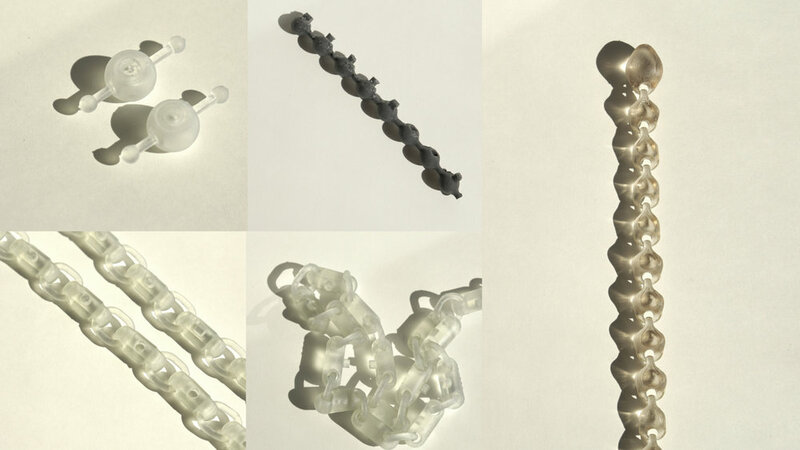 I chose the archetype of the prayer beads as a base form for the new power objects. 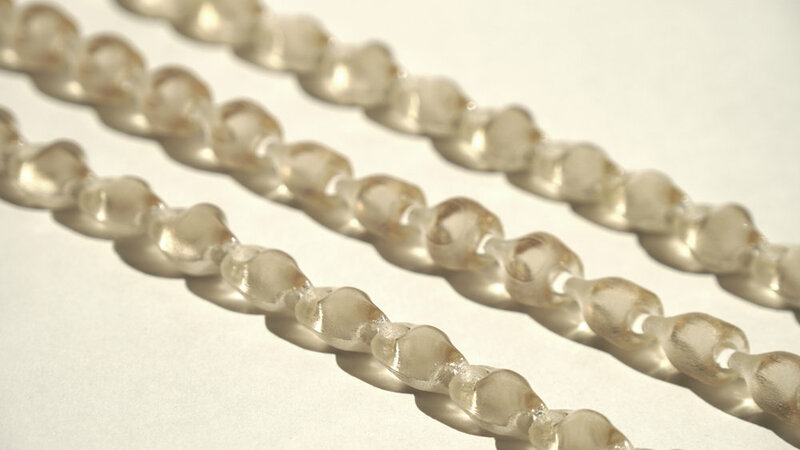 I researched genes that could be associated with health, identity, or heritage and modeled the prayer beads after sequences from these genes. 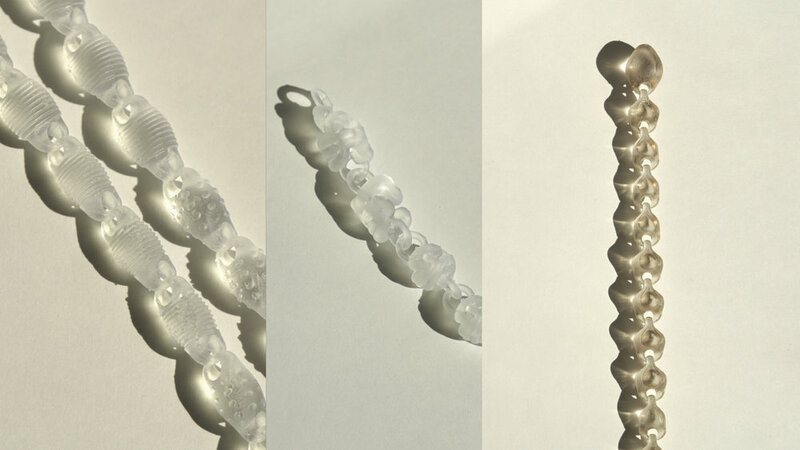 Each bead represents a base in the sequence, each base bead has a unique shape or texture. I began the project by creating a survey to assess the general understanding of and beliefs surrounding genetic information. Users consistently asked questions of their genome that would have traditionally been answered by religion, such as reasons for hardship and requests for guidance. Questions received from the survey were sorted into three primary subjects – health, identity, and heritage. Many could not be answered with genetic information. 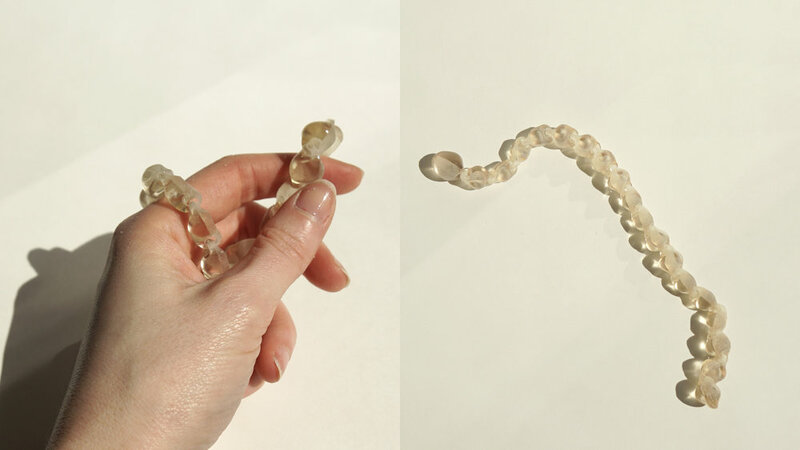 From the results of the survey, I created two “Dear Genome” prototypes. Version One was sent to a small group of subjects. They were asked to write to their genome once a week. My intention was to see if, given time and an “open line of communication” with the genome, the subject of the messages would remain consistent with the original survey. Version Two was designed to be used by the general public. 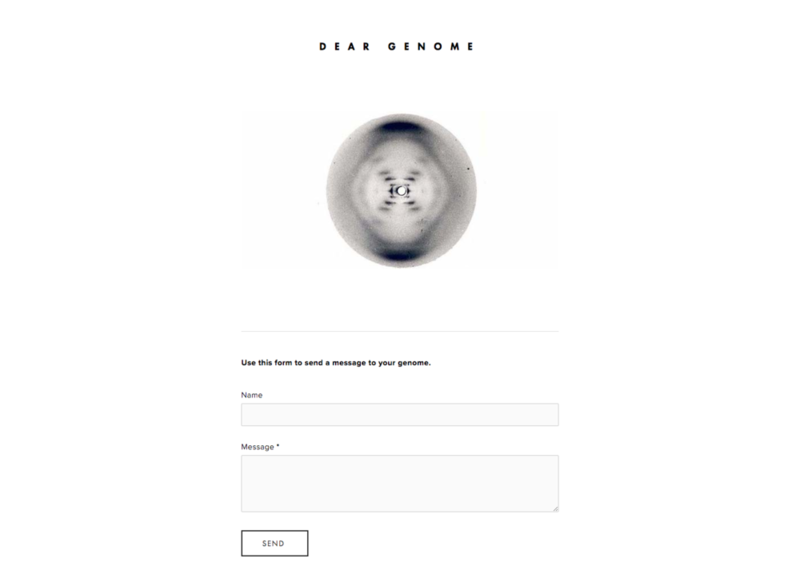 After asking the user to choose a category, it offers the same opportunity to send a message to their genome. It then offers a specific gene sequence that might be related to their message and the STL files for a physical representation of that sequence. To intentionally make a power object can only ever be a design exercise, but a valuable one that I have attempted in this project. A deeper understanding of how objects are imbued with power or can be made powerful has the potential to improve the way we design, produce, and use the objects that surround us.